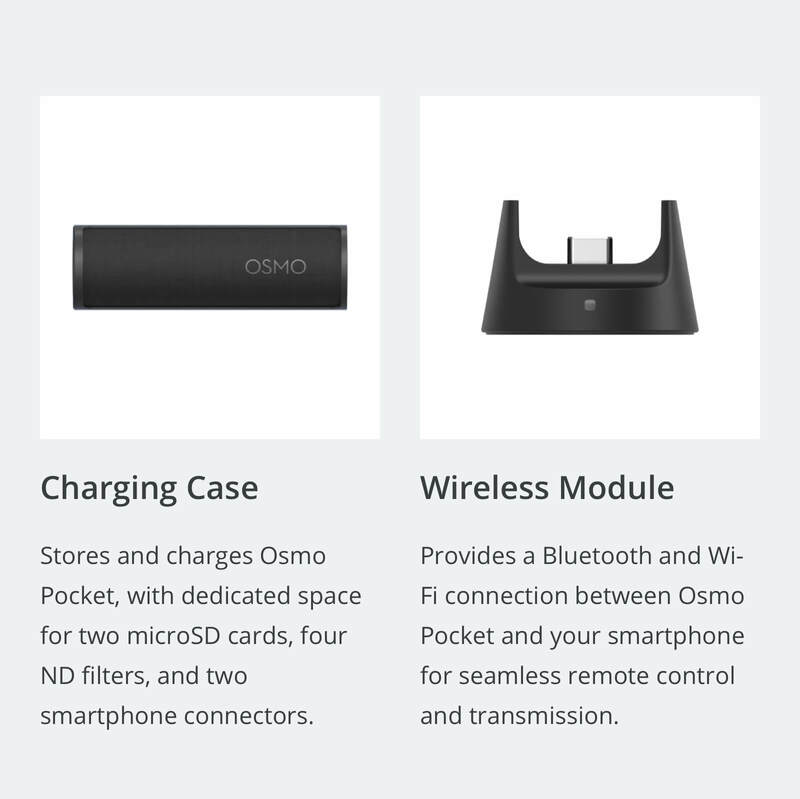 Overview Includes the Controller Wheel, Wireless Module, Acce..
Overview The Controller Wheel is equipped with a dial for pre..
Overview Attach the Accessory Mount to Osmo Pocket, making it compatible with other camera acce..
Overview The Wireless Module provides Bluetooth and Wi-Fi conne..
Mount your Osmo Pocket to a tripod or other mount that has 1/4-20 screws Features a cold shoe mou.. 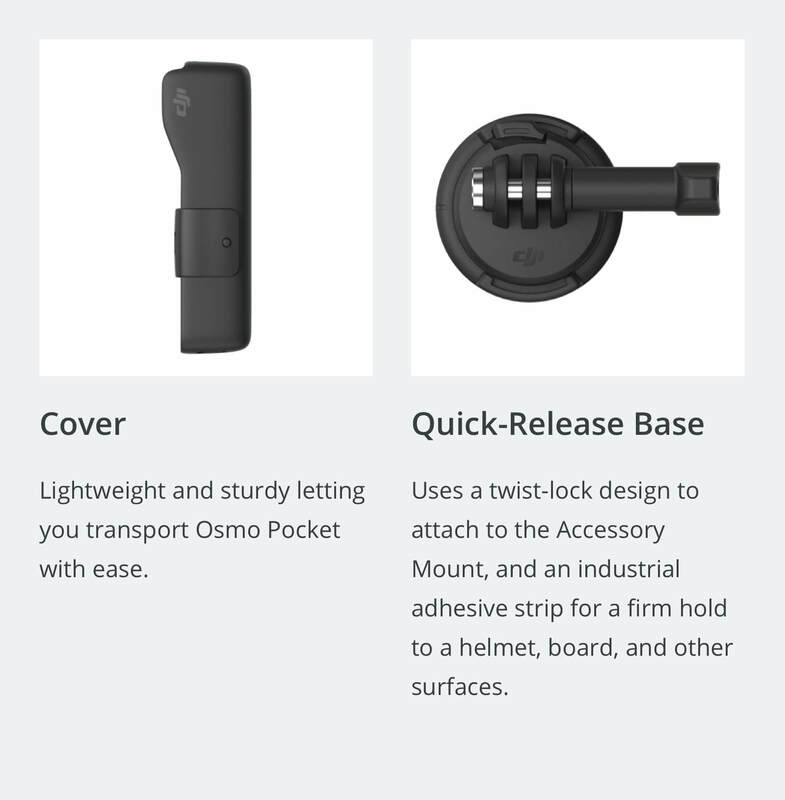 The wider base on our Osmo Pocket Base makes your Osmo Pocket more secure when you just want to sit .. 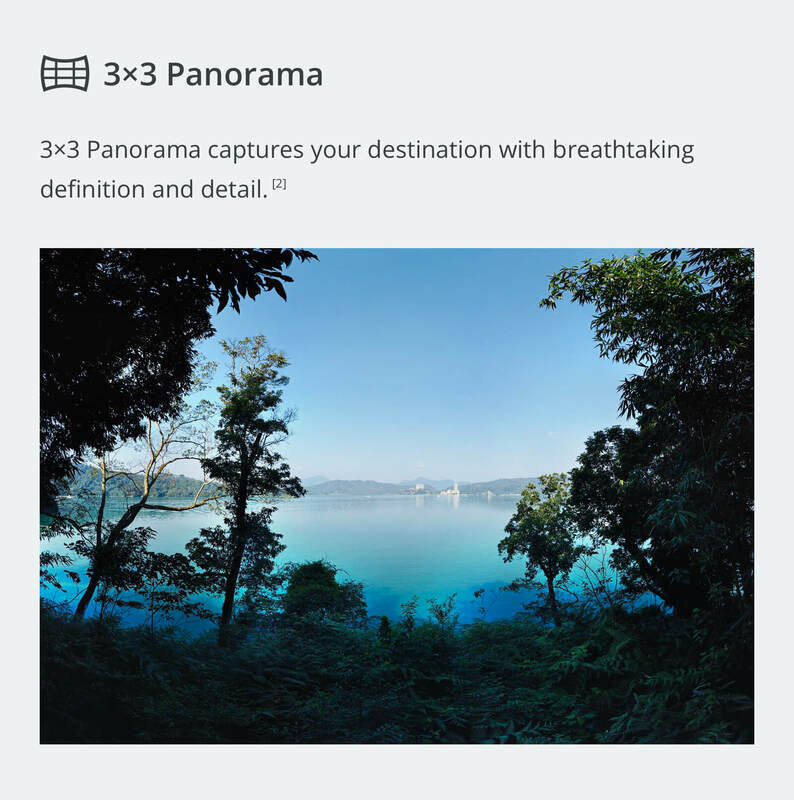 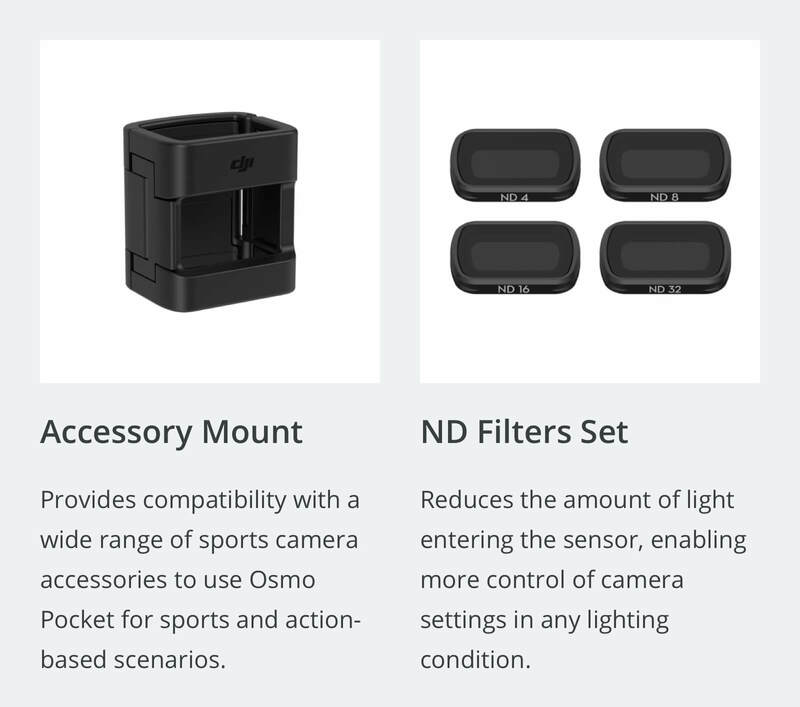 The Shutter Collection contains three filters designed to control your Osmo Pocket's shutter spe.. 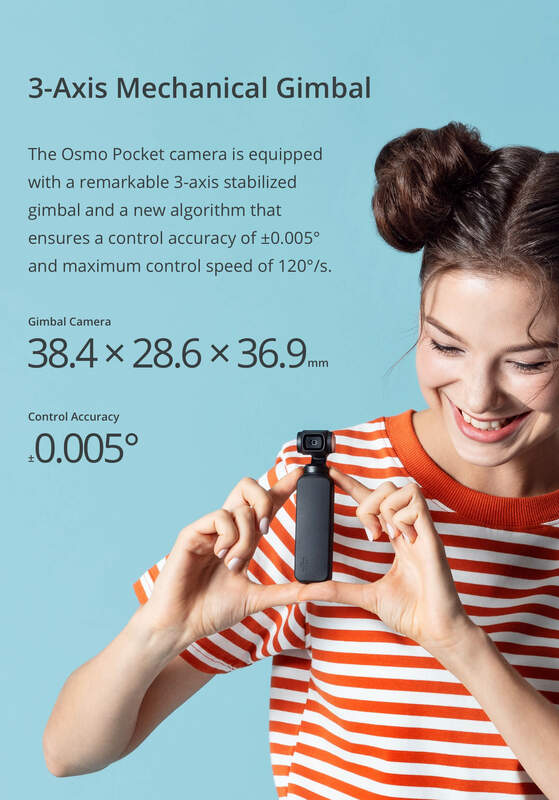 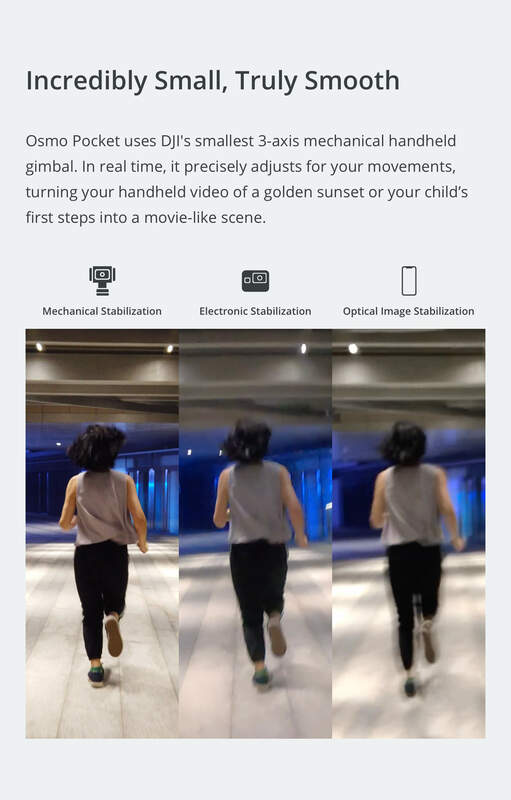 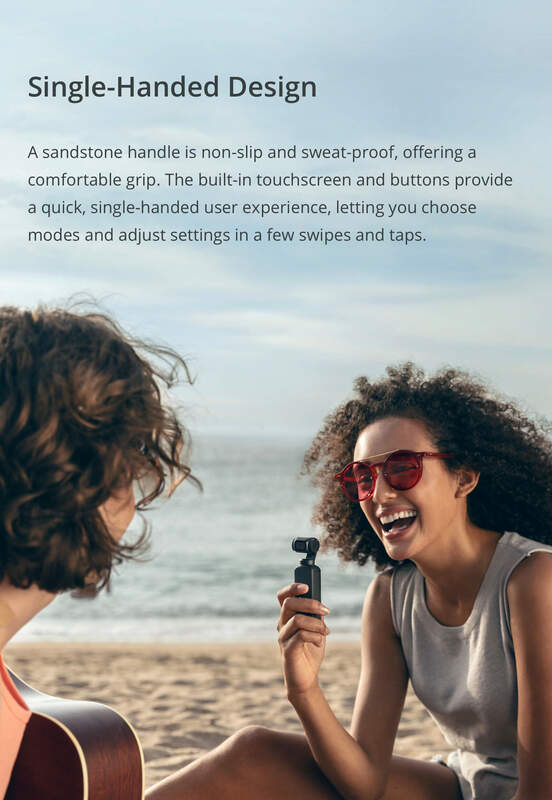 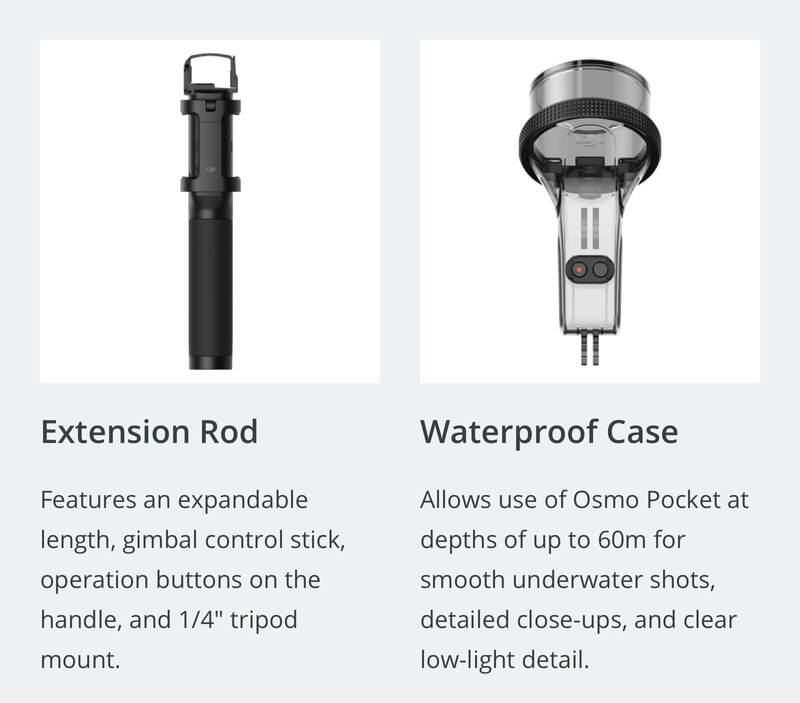 The first professional cage solution for DJI’s Osmo Pocket mini gimbal. 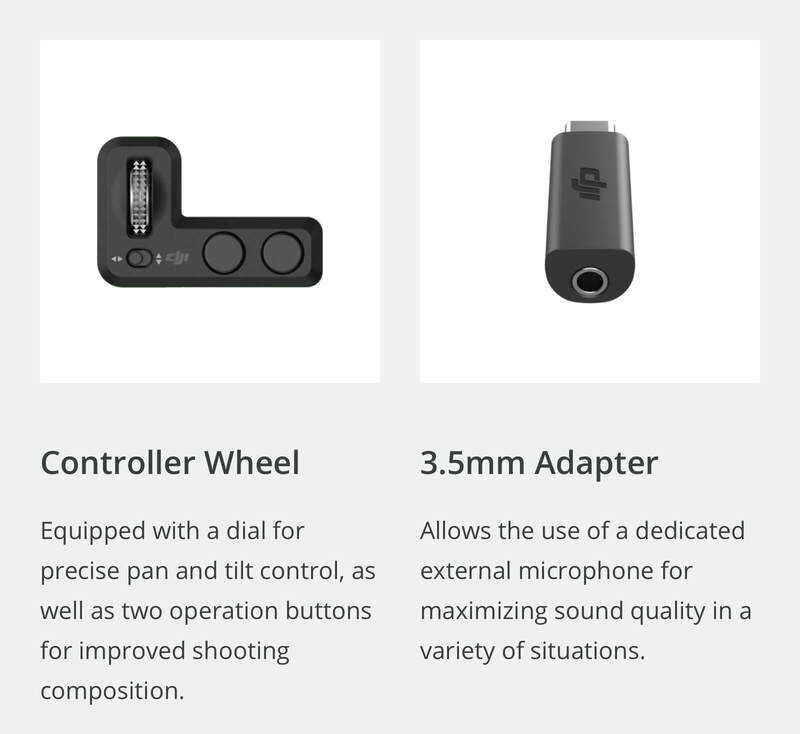 Made from solid aer..
Overview The 3.5mm Adapter allows the user to plug in an external 3.5mm microphone into Osmo .. 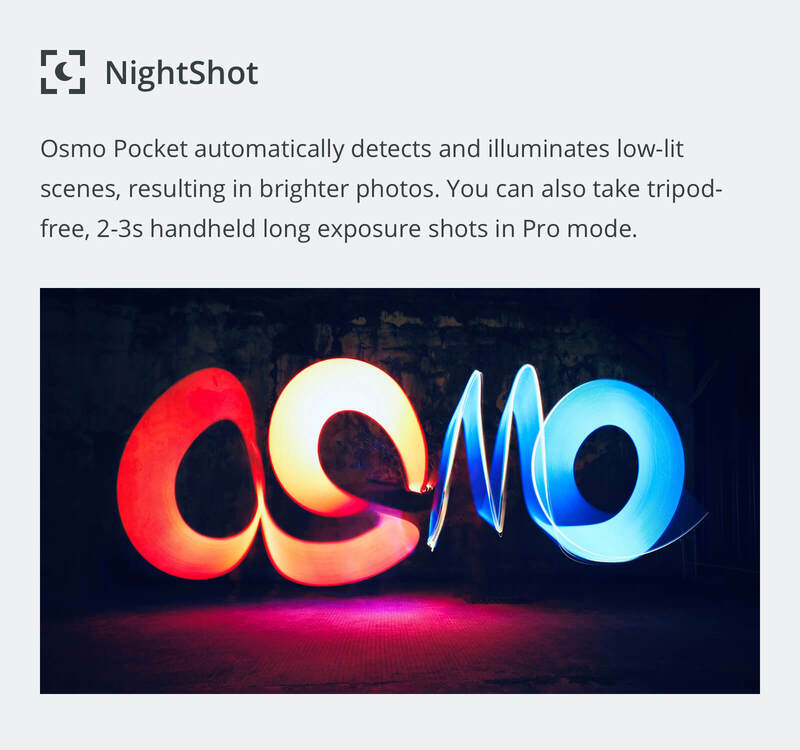 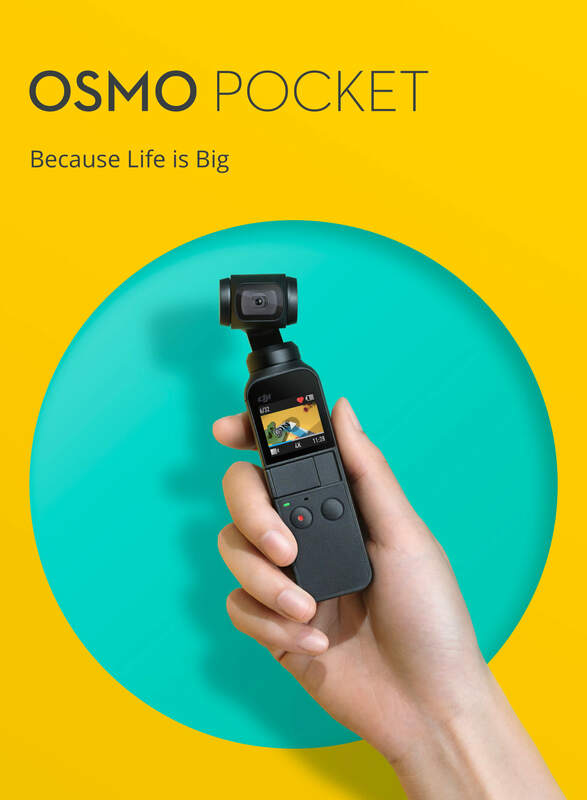 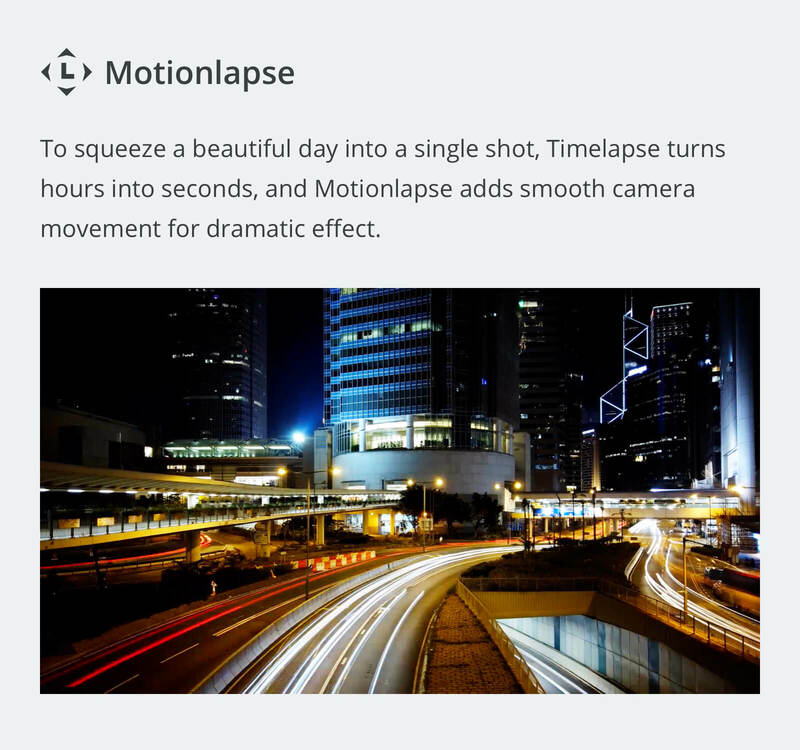 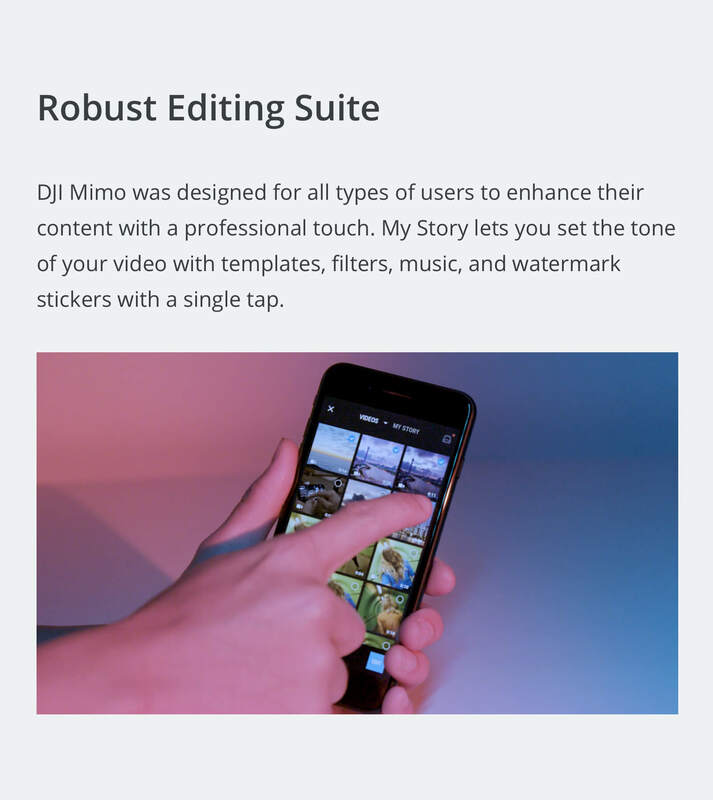 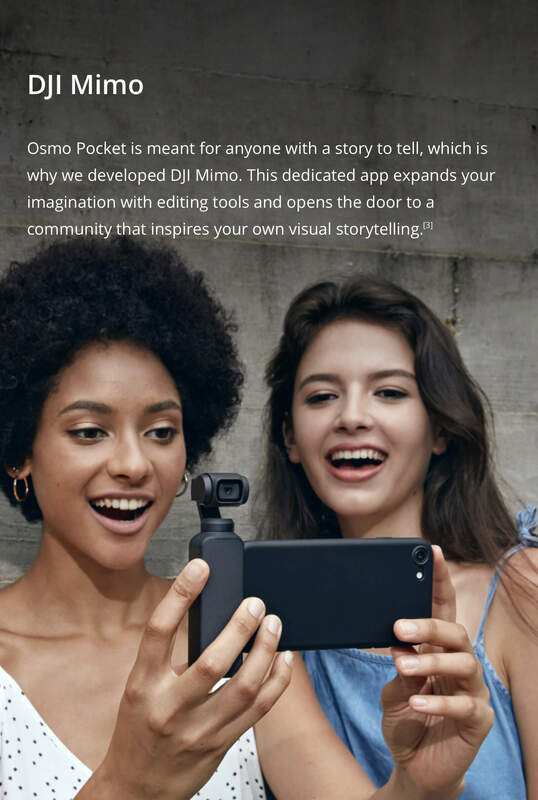 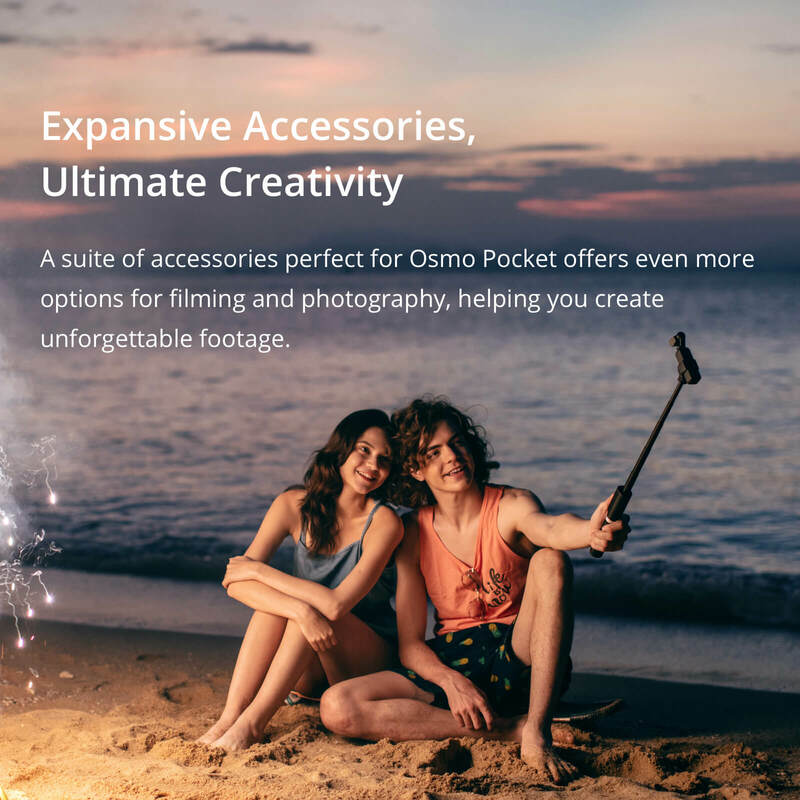 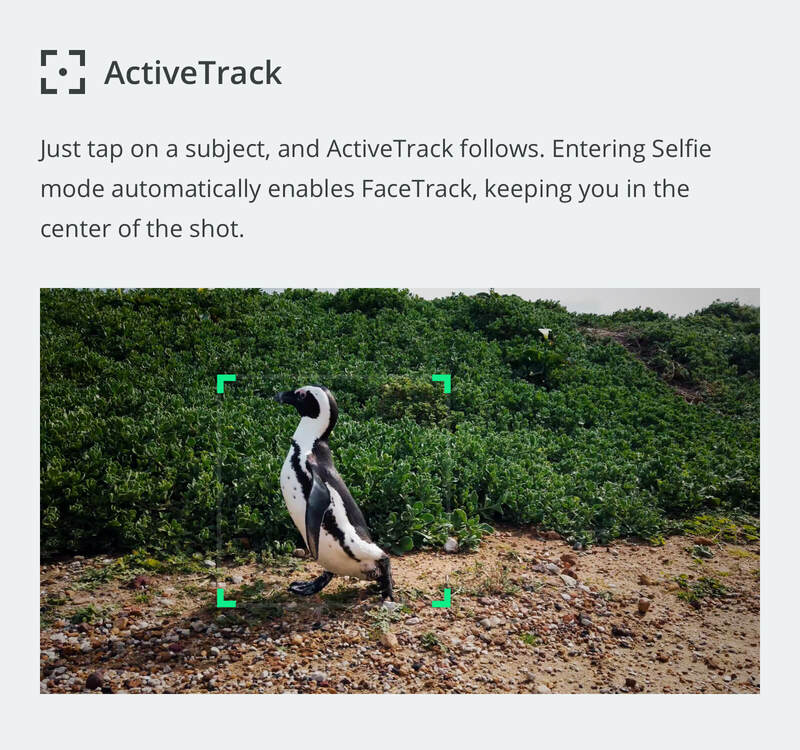 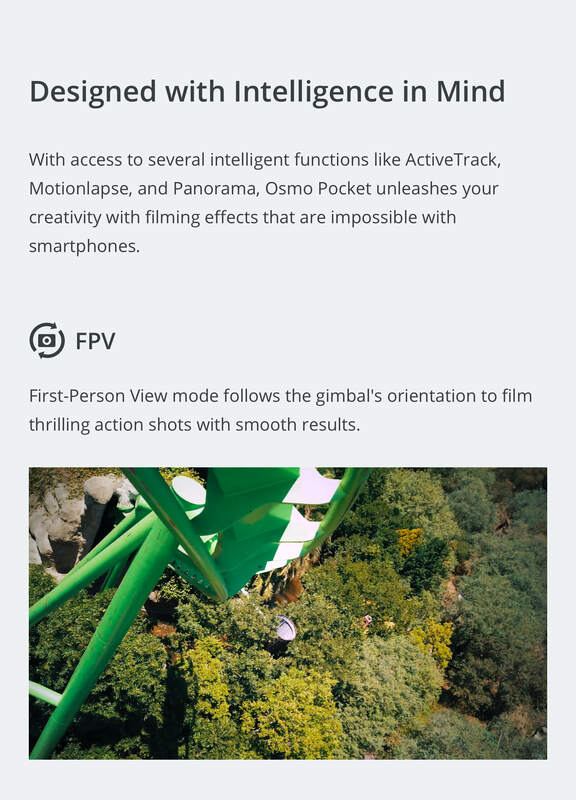 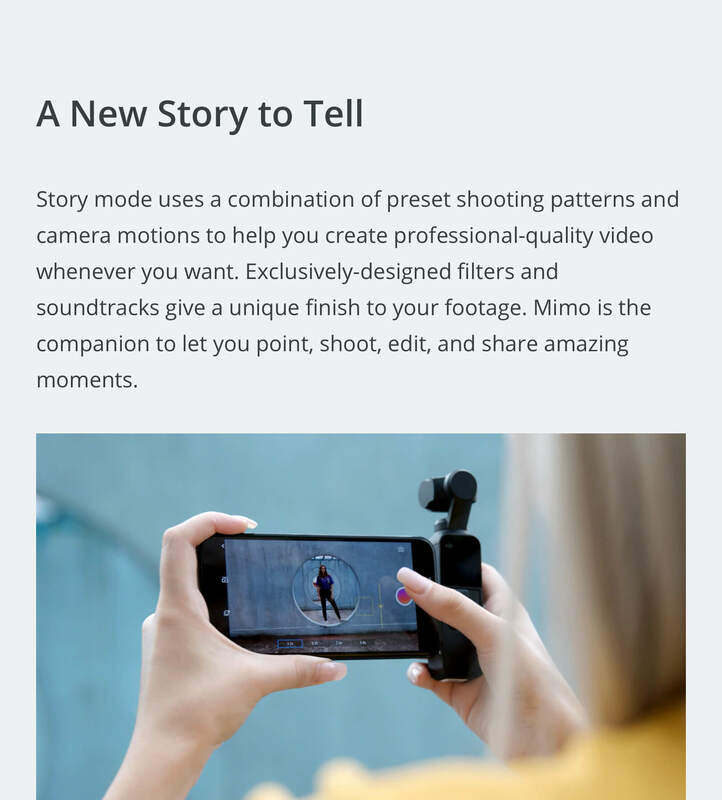 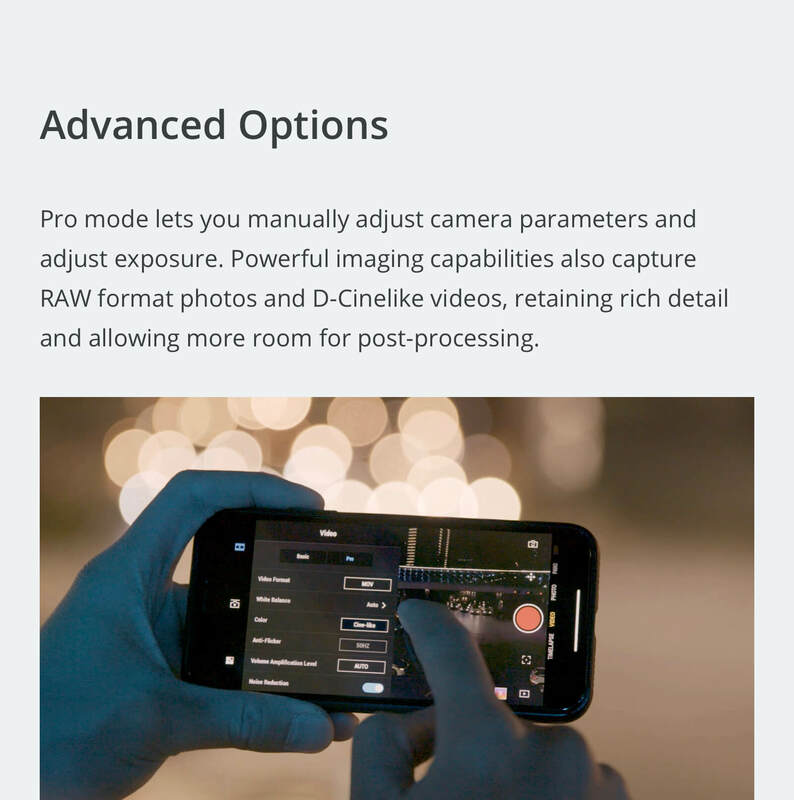 The Osmo Pocket Action Mount expands mounting options, enabling you to create immersive content ou..
A combination of various filters gives you more creative freedom A magnetic design makes it eas.. 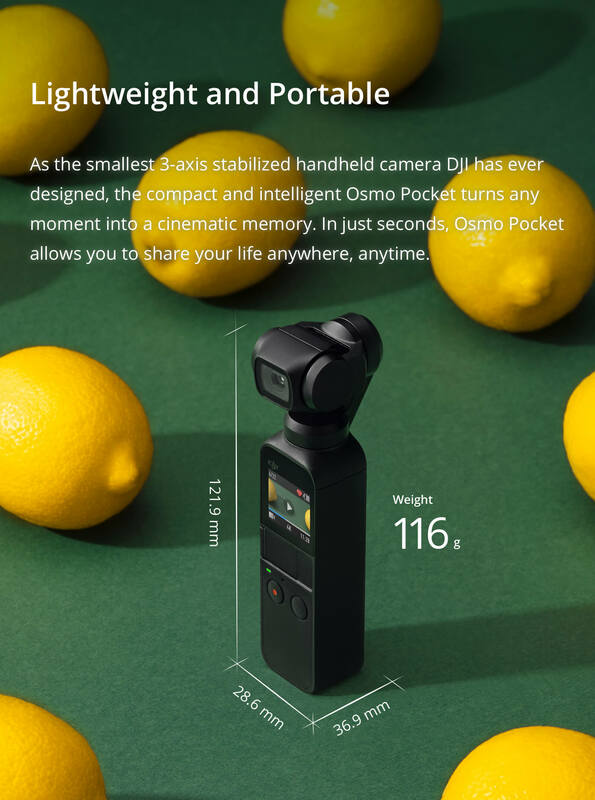 Impressive 1500mAh of power for longer shooting time Convenient spin-to-open design Charge on..